As cats adapt to 20th-century life with humans, modern life is taking a big toll on one feature of their appearance: their weight. 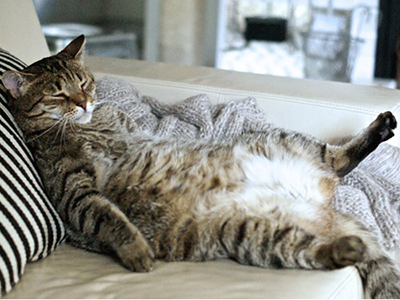 As we become more obese, so do our pets. What does this mean for the future of our feline friends? 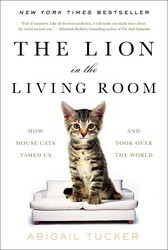 Learn all about it in The Lion in the Living Room: How House Cats Tamed Us and Took Over the World. So far, all this extra lard is humanity’s most significant contribution to the feline form. True, many of our animal affiliates are plumping up, and even the street rats of Baltimore are 40 percent heavier today, thanks in large part to our heartier garbage. But house cats represent an extreme case, for a variety of human-driven reasons in addition to the ever-richer delicacies they enjoy in their food dishes and our trash cans. Locking cats indoors prevents them from getting exercise, spaying and neutering lowers their metabolic rate, and cats’ delicate hypercarnivorous biology makes dieting extremely difficult.